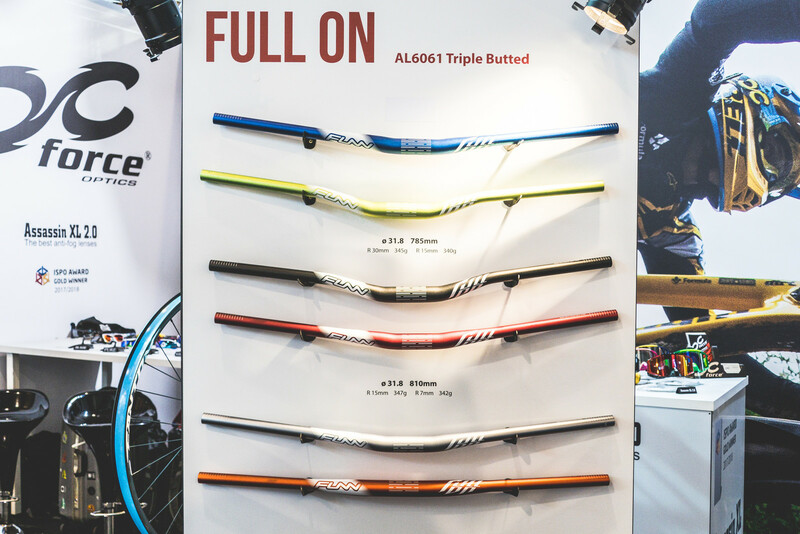 New and updated FUNN bars, stems and wheels for 2019 at Eurobike. 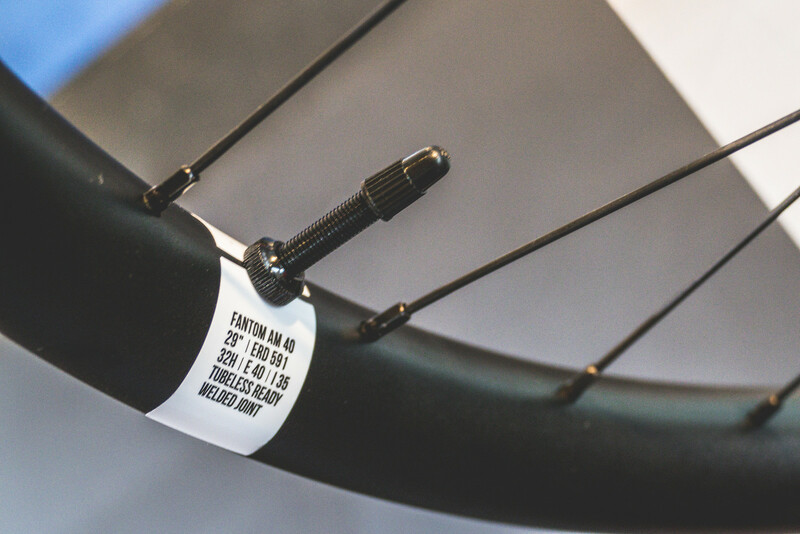 FUNN, longtime component manufacturer has some fresh product updates for 2019. First is the new Full-On handlebar. This is a mid-level bar that has recently had its butting profile tweaked to be more in line with FUNN’s higher-level Kingpi. Coming in at just $49 US and available through Amazon, the Full-On bar comes in 7, 15, and 30mm rise options weighing between 340 and 347 grams. They're available in 785 and 810mm widths and are made from AL6061. 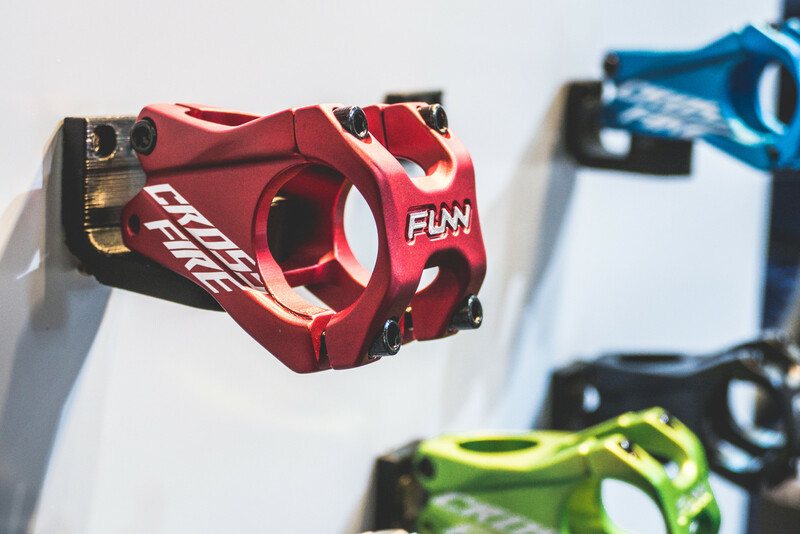 Also new from FUNN is the new Crossfire stem. 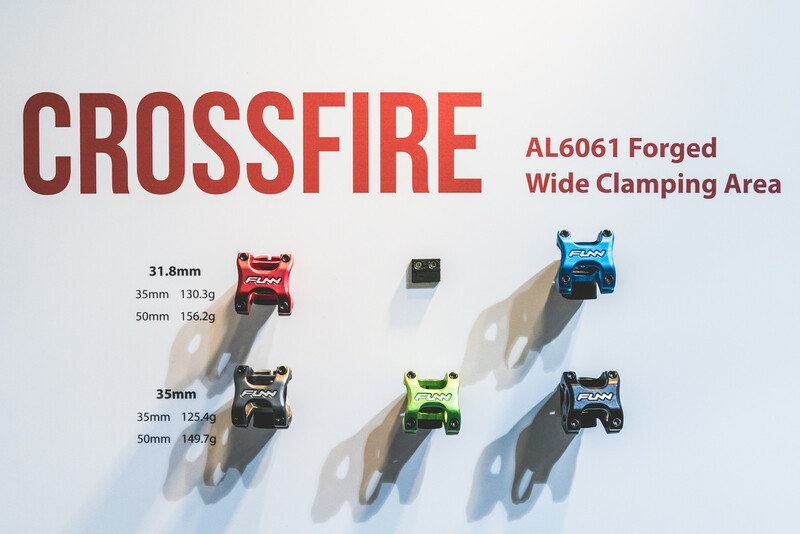 This AL6061 forged aluminum stem comes in both 31.8 and 35mm bar clamp versions with a nice, wide clamp design for improved stiffness and control. Finally, FUNN made their widest rim, yet coming in at 35mm internal width, on the newest Fantom wheels.